"Shaker" wins a huge 5 point major at 7 months old!! 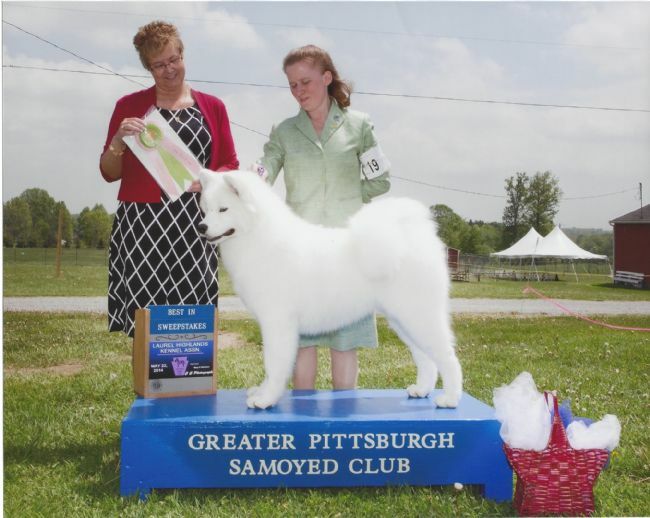 "Shaker" White Magic's Shake Your Groove Thing wins a huge 5 point major at the Greater Pittsburgh Samoyed Club Supported Entry on 5/23/14!! Shaker also won Puppy Sweepstakes on 5/22/14 at the supported entry!